The Levitan family, including children (Isaac, Adolf, Teresa and Emma), moved to Moscow in hope of a better life. Initially, the family lived near Solyanka Street off the savings made by the father when he worked as a private tutor (a Yeshiva graduate, he had taught foreign languages in Kovno (now Kaunas)). Following his brother Adolf's suit, Isaac applied and in September was admitted to the Moscow School of Painting, Sculpture and Architecture (the Art School). 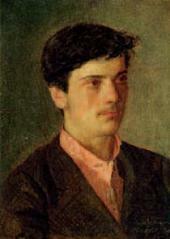 (Adolf had enrolled at the Art School in 1871). Attended Alexei Savrasov's landscape classes (from 1874), and Vasily Perov's and Vasily Polenov's classes (from 1882). Acquaintance with Nikolai Chekhov, brother of Anton Chekhov. Father's death. The family descended into abject poverty. Left homeless and starving, Isaac often had to spend nights at the Art School. However, the Art School's Committee noticed the fledgling artist's talent and granted him a stipend for pur­chasing canvas and paints and waived the tuition fee. His works were first exhibited in a student section of the fifth show of the "Peredvizhniki" (the Wanderers, or the Society of Traveling Exhibitions), display­ing landscapes "Evening" (Tretyakov Gallery) and "Sunny Day. Springtime" (private collection, Moscow), for which he was awarded two minor silver medals. 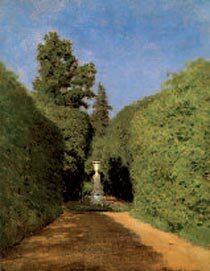 In connection with the exhibition, Levitan's name was mentioned in the press for the first time. 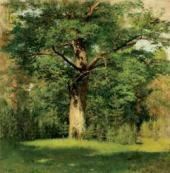 At the first exhibition of the Art School's students, organized by Vasily Perov, Levitan displayed "A View of the Simonov Monastery" (present whereabouts un­known), which garnered favourable reviews in the press. Early the following year, the piece was sold for 100 roubles. May. 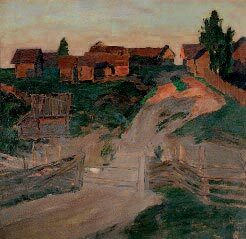 Jews were expelled from Moscow; forced to leave the city, Levitan moved to Saltykovka village near Moscow. Granted a Prince Vasily Dolgorukov stipend by the Teachers' Council of the Art School. December 1879-January 1880: the second exhibition of the Art School's students featured five landscapes by Levitan, including "Autumn Day. Sokolniki" (1879). Purchasing the work, the collector Pavel Tretyakov started to carefully watch the young artist's progress. Levitan continued to exhibit at the shows of the Art School's students and at the regular exhibitions arranged by the Moscow Society of Art Lovers (MSAL). In 1881 he received a silver medal for a model's drawing and a stipend for travel in the Volga region, but his sister Teresa fell ill, so he had to spend the money on doc­tors and to move in with her, to Ostanki-no, near Moscow. In Ostankino, he creat­ed "Ostankino" (Russian Museum), "An Alley. Ostankino" (Tretyakov Gallery) and other pieces. He started to give private lessons to Yelena Nenarokova — one of the daughters of Vasily Yakovlev and became a friend of the family. 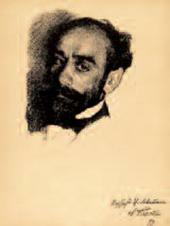 To make a living, he began working as a graphic artist and lithographer for the "Moskva" (Moscow) (1882), "Raduga" (Rainbow) (1883) and "Volna" (Wave) (1884) magazines. He accomplished four illustrations for Mikhail Fabritsius' guide­book "The Kremlin in Moscow". 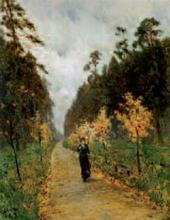 During that period he created such com­positions as "Oak Tree" (1880, Tretyakov Gallery), "Autumn. A Hunter" (1880, Tver Picture Gallery), "Springtime in a Forest" and "A Trail in a Forest" (1881, 1882, both at the Tretyakov Gallery). 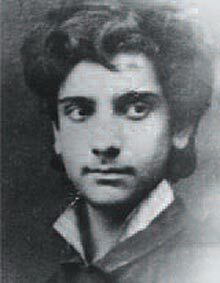 Levitan rented a room in a lodging house (Sadovo-Spasskaya Street; the house, on the site of present-day building 12, does not survive) together with a fellow student from the Art School Nikolai Chekhov. Levitan's circle of close friends included the Art School students Konstantin Korovin, Mikhail Nesterov, Vasily Pere-pletchikov, Alexei Stepanov. 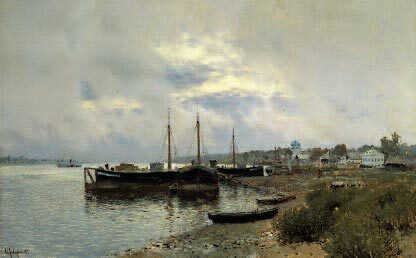 Loyal to his teacher Alexei Savrasov who was dismissed from the Art School, Levitan remained in touch with him and continued to turn to him for advice in art. 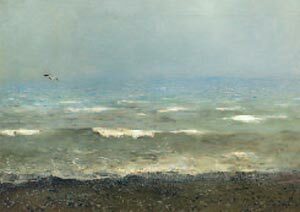 When Levitan accomplished a landscape expecting to receive a diploma of a first­rank artist, he showed it to Savrasov, who wrote on it: "Big silver medal". However, the judgment of the disgraced artist was met with disapproval on the part of the School Committee's members. Levitan stopped attending classes. A year later, the Art School Teachers Council dismissed him from the School with a diploma of an unranked artist. By the decision of a general meeting of the "Peredvizhniki" society, Levitan was accepted into the group of artists, and the Society's 12th exhibition for the first time featured his work "Evening on Tilled Soil" (1883, Tretyakov Gallery). Afterwards, he showed his pictures every year at the shows organized by the "Peredvizhniki" and MSAL. In the spring of 1884, Levitan and Perepletchikov lived in the Savvinskaya township, making sketches from nature; there their neighbour was the artist Leo Kamenev, who visited them and praised Levitan's works. In Savvinskaya Levitan created two compositions similarly named " Savvinskaya Township near Zvenigorod" (both in the Tretyakov Gallery), "Entry Road to a Village" (Vasily Polenov Museum-Reserve). In the autumn, Levitan, together with other young artists, started attending the watercolour morning sessions and the drawing evening sessions in the home of Vasily Polenov. He posed for Polenov's "Christ and the Woman Taken in Adultery" (1888, Russian Museum). Levitan rented a room in the house of a Mrs. Redder, a widow, in Ulansky Lane, then moved to Likhachev's rooming house in Prechistenka Street, and to the Anglia hotel (Tverskaya Street, on the site of present-day building 23), where he lived until 1889. He started to attend drawing gather­ings in the home of the art patron Savva Mamontov on Sadovaya Street, and visit­ed Mamontov's country home in Abramtsevo. He worked for Mamontov's Private Opera company, employed at the company's workroom (1885-1886). Together with Nikolai Chekhov and Victor Simov he created the sets for such productions as "The Mermaid" by Alexander Dargo-myzhsky, "Faust" by Charles Gounod, "A Life for the Tsar" by Mikhail Glinka, and "Snow Maiden" by Nikolai Rimsky-Korsakov. This summer he stayed in the village of Maximovka, near the Kiselevs' home in Babkino, where the Chekhov family sum­mered. 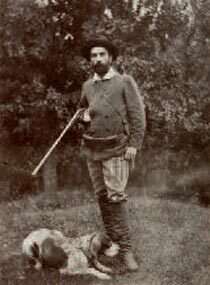 Soon Levitan moved in with the Chekhovs; in a utility room converted into workshop, which he called a "henhouse", he worked tirelessly, with occasional dis­tractions such as hunting, fishing, fancy dress balls and the like. Here Levitan made sketches of the Babkino neighbour­hood, including a composition called "Istra River" (Anton Chekhov Museum in Yalta). 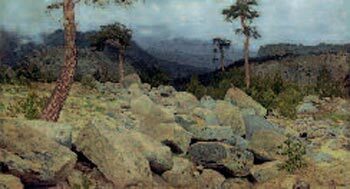 Late in March Levitan moved to the Crimea, where he spent two months mak­ing sketches, stopping over in Yalta, Massandra, Alupka, Simeiz, Koreiz, Bakhchisaray. The Crimean sketches (about 60 in all), displayed at a MSAL show, were all sold, which turned his life around financially. The summer he stayed in Babkino with the Chekhovs. Levitan was invited to direct a landscape workshop at a fine arts classes organized by Anatoly Gunst. Late in August Levitan met a medical doctor Pavel Dmitrievich Kuvshinnikov and his wife Sofia Petrovna (1847-1907), an amateur artist and the hostess of the Kuvshinnikova Salon where the glitterati of the day mingled (Alexander Sumbatov-Yuzhin, Alexander Lensky, Maria Yer-molova, Anton Chekhov, Ilya Repin and others). Levitan and Sofia Kuvshinnikova developed a friendship, which later grew into a romance; in the autumn, joined by Alexei Stepanov, they moved to Savvin-skaya township to make sketches. Levitan started attending the Saturday soirees at MSAL, a meeting ground of older artists such as Vasily Polenov, Vladimir Makovsky, Nikolai Nevrev; he also frequented (up to 1889) the famous "Wednesdays" at Vladimir Shmarovin's home, whose regulars included art critic Sergei Glagol', the reporter famous for portraying Moscow's day-to-day life Vladimir Gilyarovsky, the actresses Glikeria Fedotova and Vera Komissar-zhevskaya, and artists such as the Ma-kovsky brothers, Nikolai Ghe and others. In the spring he came for the first time to the Volga River (to spend two months there). 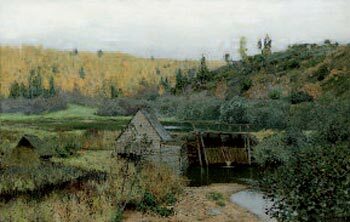 He stayed in Vasilsursk, making several views of the area — "Bee Garden" (Tretyakov Gallery), "Flood on the Sura River" (private collection, Moscow), "Vasilsursk" (Vasily Polenov Museum-Reserve) and others. His painting "Morning in Autumn. 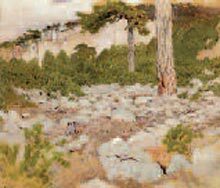 A Fog", displayed alongside Levitan's other pieces, was bought by the artist Vasily Vereshchagin as a token of recognition of the young artist's professional maturity. 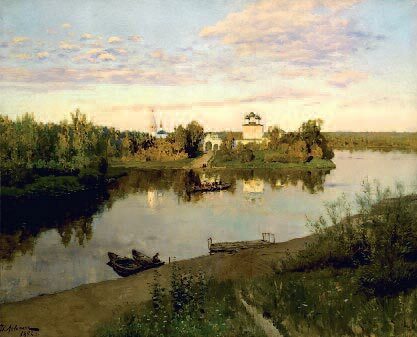 The summer he stayed in Babkino with the Chekhovs; Levitan also visited Vasily Polenov's summer retreat Zhukovka, near the Klyazma River, where he accomplish­ed a piece "The Overgrown Pond" (Vasily Polenov Museum-Reserve). He would later re-use the imagery in a similarly named work, now at the Russian Museum, and in drawings he would make at Shmarovin's "Wednesdays". The rest of the summer and the autumn he worked in the company of Sofia Kuvshin-nikova and Alexei Stepanov in the Savvinskaya township. From April through late October Levitan, accompanied by Kuvshinnikova and Stepanov, visited several cities on the Volga. 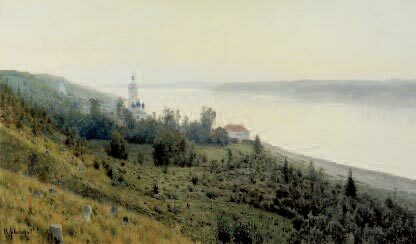 Developing a special fondness for a small town called Plyos, Levitan imaged it in such compositions as "On the Volga", "Wooden Church in Plyos in the Farewell Beams of a Departing Sun" (private col­lection, Moscow; this church would be also featured in the painting "Eternal Peace", 1894, Tretyakov Gallery), "Inside the Peter and Paul Church in Plyos, on the Volga" (Tretyakov Gallery), "A Secluded Place in Plyos" (Museum of Fine Arts, Tatarstan), "A Grey Day in Plyos", "Evening on the Volga" (Tretyakov Gallery), "A Murky Day on the Volga" (private collection, Moscow), "Autumn. A Mill. Plyos" (Tretyakov Gallery). 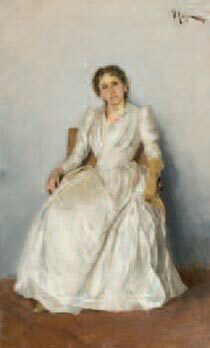 The "Portrait of Sofia Kuvshinnikova" was accomplished in Plyos too (Isaac Brodsky Museum, St. Petersburg). 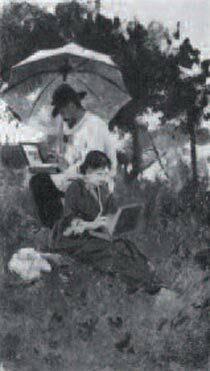 Described in Kuvshinnikova's memoirs, that period of Levitan's life would also inspire Alexei Stepanov to create two small sketches — "Isaac Levitan and Sofia Kuvshinnikova Working on Sketches" (Tel-Aviv Museum of Art) and "Isaac Levitan and Sofia Kuv-shinnikova" (private collection, France). 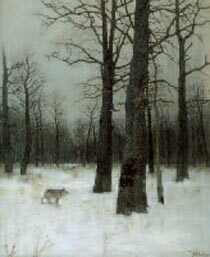 Levitan became a member of the Moscow Society of Art and Literature organized by Konstantin Stanislavsky, and created the stage sets "Winter Forest" for a produc­tion of "The Stone Guest". The summer and the autumn: the artist stayed in the Volga region, in the company of Kuvshinnikova and Stepanov. 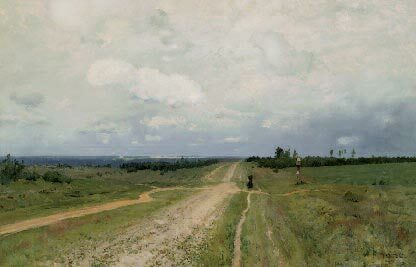 Back in Moscow, Levitan re-worked his Volga stud­ies into his first two big-size compositions: "Evening. Golden Plyos" and "After Rain. Plyos" (both at the Tretyakov Gallery). In November the renowned art philan­thropist and Levitan's patron Savva Morozov allowed the artist to live and work in an outbuilding in his estate in Bolshoi Trekhsvyatitelsky Lane. In the winter of 1889-1890 Levitan fell ill with typhus, which considerably sapped his strength. Early in March Levitan went abroad for the first time (perhaps with Kuvshinniko-va), to spend two months. He visited Berlin, Paris, Nice, Menton, Venice and Florence. 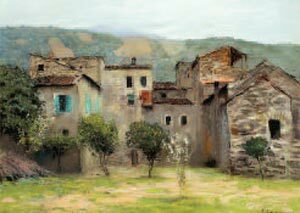 The artist's imagination was captured by small provincial towns in Italy, whose characteristic rustic ways and scenic landscapes he imaged in a travel sketch­book. 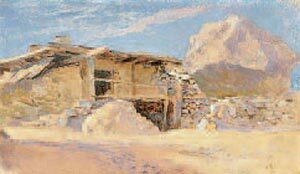 The landscape paintings and pastel pieces included "The Mediterranean Coast", "Near Bordighera. North of Italy" (both at the Tretyakov Gallery) and others. As a token of deep respect and admiration for her talent, Levitan presented to the actress Maria Yermolova one of his two "Springtime in Italy" compositions. The summer and the autumn: Levitan and Kuvshinnikova travelled across the Volga region. Stopping over in Plyos, Yurievets, Kineshma, the artist accomplished such works as " On a Gloomy Day by the Volga" (Serpukhov History and Art Museum), "Time-worn Little Courtyard" (Tretyakov Gallery) and others. Returning to Moscow, he worked on the composition "Quiet Abode" (Tretyakov Gallery). 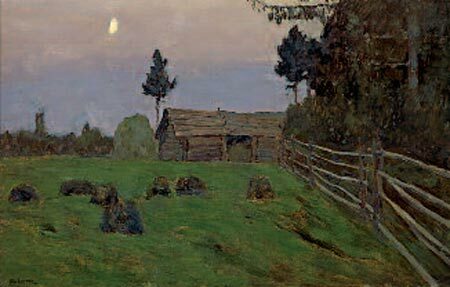 Pavel Tretyakov acquired Levitan's "Evening. Golden Plyos" and "After Rain. Plyos" at the "Peredvizhniki" exhibition. 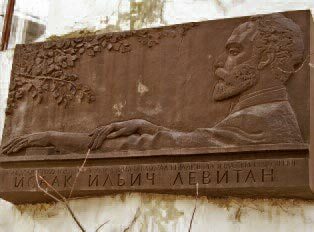 Levitan was granted membership in the "Peredvizhniki" society and elected a member of the MSAL committee. In May Levitan, accompanied by Lika Mizinova2, visited Anton Chekhov in the town of Alexin (near Kaluga). The summer and the autumn: Levitan and Kuvshinnikova stayed in a Zatishie farm, on Panafidin's estate, Staritsky county, near Tver. In the nearby Bernovo, an estate of Baroness Wolf, Levitan started a view of an abandoned hammer pond — the first study for the future work "By the Millpond". After Kuvshinnikova's depar­ture, Levitan moved to Panafidin's estate in Kurovo-Pokrovskoye, where he worked on the composition "By the Millpond". Other works produced at Panafidin's estate include "Portrait of Nikolai Panafidin" (Tver Picture Gallery), "October" (Samara Art Museum), and a sketch "Field after Harvesting. A Grey Day". 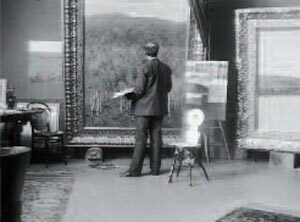 Vasily Polenov painted the "Portrait of Isaac Levitan" (private collection). Chekhov's apology, and they remained at odds until January 1895. The summer: Levitan stayed with Kuvshinniova in the Gorodok village by the Peksha River, not far from the Boldino railway station (near Vladimir). September: Jews were officially expelled from Moscow and its environs, and Levitan was ordered to leave the city for Boldino (from mid-September till mid-December). It was only by virtue of his friends' pleadings that he could move back home by the end of the year (official per­mission would be granted in January 1894 thanks to mediation of the artist and a member of the "Peredvizhniki" Society Board Pavel Bryullov). 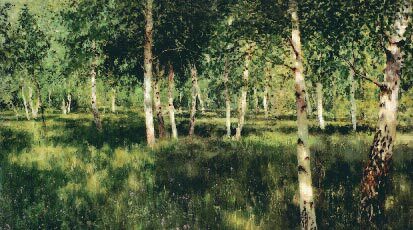 Levitan accomplished the following paintings: "Forested Riverside. Twilight" (Tver Picture Gallery), "Vesper Bell" and "Vladimirka Road" (both at the Tretyakov Gallery). The "View of a Monastery on the Day Preceding a Holiday" (present where­abouts unknown) was exhibited at the World Fair in Chicago. In the winter Valentin Serov painted a portrait of Levitan in his studio, displayed the following year at a "Peredvizhniki" exhibition alongside the "Vladimirka Road" piece. In February Levitan and Ilya Ostroukhov came to St. Petersburg and visited the Hermitage Museum. 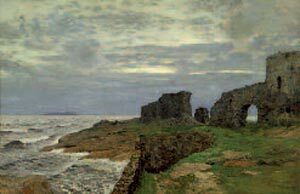 The summer: Levitan stayed at the Ushakovs' estate Ostrovno by Lake Ostrovno in Tver province and at the Arakcheevs' estate Garusovo by Lake Udomlya, near the town of Vyshni Volochok, where he created several studies for a future painting "Eternal Peace" (1894, Tretyakov Gallery). The embodi­ment of the ideas and emotions of the 33-year-old artist, the composition was to become the centrepiece of Levitan's entire ceuvre. 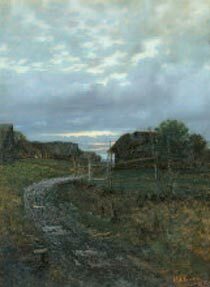 After Pavel Tretyakov bought "Eternal Peace", Levitan, aware of the special sig­nificance and status of the collection, donated to him the "Vladimirka Road". The paintings "By the Lake in Tver Province" (Saratov State Art Museum) and "Evening Shadows' (Taganrog Art Museum) were created. Levitan displayed two pieces at the World Fair in London. 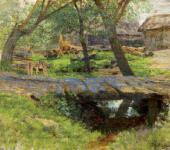 The spring: Levitan travelled across Europe. He stayed in Vienna, Nice, by Lake Como, and stopped over in Paris. He created few pictures along the way — the travel pieces included several versions of "Lake Como" (Tretyakov Gallery, Russian Museum) and "Corniche. South of France" (croquis, Tretyakov Gallery). The summer and the autumn: Levitan stayed with Kuvshinnikova in the estate of the Ushakovs in Ostrovno. 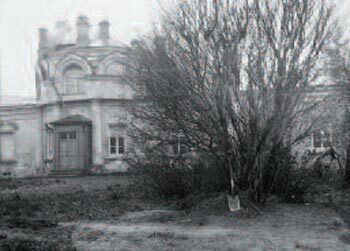 A Gorka estate, nearby, was temporarily occupied by the Turchaninovs (mother Anna Nikolaevna and daughters Varvara, Yulia, Sofia), and Levitan moved in with the Turchaninovs after his breakup with Kuvshinnikova. In Gorka, the painter accomplished pastel still-lifes featuring flowers, such as "A Bunch of Cornflowers", "Coleus", "Immortelles", and paint-ings, such as "Asters" and "Dahlias", which he donated to Mrs. Turchaninova and her daughters. Alexei Petrovich Langovoi — a doctor who examined Levitan — diagnosed a serious heart disease. January: Levitan and Chekhov reached a long-awaited reconciliation, due to the ministrations of Tatyana Shchepkina-Kupernik3. From then on, Levitan regu­larly visited his friend in Melikhovo. In March and then from May till September Levitan lived in Gorka as a guest of the Turchaninovs. During all of this time Levitan worked in a big work­room, built specially for him. There he accomplished his most colourful pieces — "In March", "Fresh Wind. The Volga", "Golden Autumn" (all at the Tretyakov Gallery). June: as a consequence of aggravated neurasthenia the artist attempted suicide. A show of oils and watercolour pieces of Levitan, Viktor Simov and Alexander Popov was organized in Odessa4. A grand Russian national exhibition of arts and industries in Nizhny Novgorod featured 18 works of Levitan. On Alexander Benois' invitation, Levitan exhibited his artwork at an international show of the Munich Secession group. In May Levitan stayed with the Turchaninovs in Gorka estate. 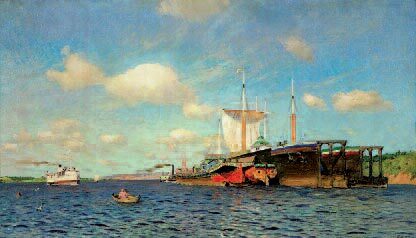 The summer: Levitan visited Finland and the island of Valaam, and cruised on Lake Ladoga. In the autumn and the winter Levitan had serious heart attacks; doctors diagnosed aortic dilatation and detected a cardiac defect. The artist celebrated the New Year with the Chekhovs in Melikhovo. 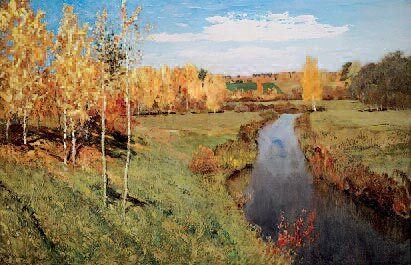 Pavel Tretyakov acquired Levitan's "March" and "Golden Autumn". The sculptor Teresa Ris accomplished a gypsum bust of Isaac Levitan. 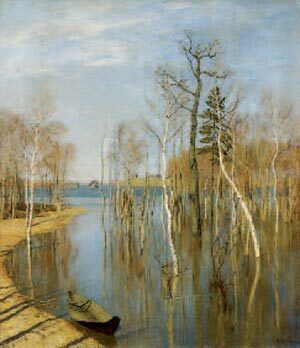 Despite the pain and an aggravation of his malady, Levitan accomplished "Spring Flood" (Tretyakov Gallery), which he dis­played in the same year at a "Peredvizhniki" exhibition. April through June: he had to stay at European resorts in Italy (Nervi, Porto-fino, Courmayeur), and in Germany (Nauheim). He painted views of the Alps, created the composition "Fortress in Italy" (present whereabouts unknown), "A Chain of Mountains. Mont Blanc" (Tretyakov Gallery). 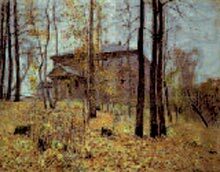 The summer and the autumn: Levitan was a guest of Savva Morozov in Uspenskoe; Anton Chekhov paid a visit. In Morozov's company, Levitan visited the Karzinkins5 in Odintsovo, and accompanied by Lika Mizinova, he paid a visit to the Chekhovs in Melikhovo. During that time he creat­ed "A Stormy Day" and "Moonlit Night. 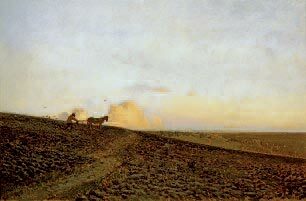 Big Road" (both at the Tretyakov Gallery), "Moonlit Night. Village" (Russian Museum) and numerous autum­nal landscapes. In December Levitan had a heart attack. In March Levitan fell ill with relapsing fever and went to Nauheim to improve his health; visited Munich, Paris. The summer months: the artist stayed with the Olenins in their Bogorodskoe estate by Lake Senezh in the vicinity of Moscow village Podsolnechnoye; Anton Chekhov visited him there. Over the course of the year he produced such paintings as "Early Spring", "Ravine", "Silence" (all at the Russian Museum), "Lake. Spring" (Penza Picture Gallery), several pieces themed on wood-cutting, and studies for a future composition "Tempest. 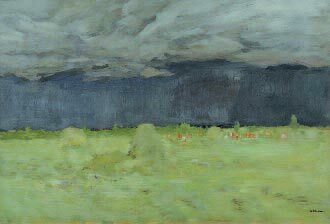 Rain" (1899, Radishchev Art Museum, Saratov). He made illustrations to a three-volume collection of Alexander Pushkin's works published to mark the poet's centenary. In addition to regular yearly displays organized by the "Peredvizhniki", MSAL, the Secession, Levitan exhibited at a show of Russian and Finnish artists organized in St. Petersburg by Sergei Diaghilev. Accomplished his painting "Tempest. Rain" (1899, Radishchev Art Museum, Saratov). Levitan exhibited at an international exhi­bition organized by the Mir Iskusstva (World of Art) magazine; began to attend meetings of a literary group Sreda (Wed­nesday) in the home of Nikolai Teleshov. In February Grand Duke Sergei Alexandrovich and his spouse Grand Duchess Yelizaveta Fedorovna paid a visit to Levitan's workshop. In April the artist was issued a passport and an official per­mission to live in Moscow. The spring and the autumn. The artist regularly led his students on outings to Sokolniki, Kuskovo, Novogireevo, where they drew and painted in the open air. He rented country lodges where young artists lived and painted sketches under his tute­lage. Late April-August. Feeling unwell, he went to Okulovka village in Novgorod province; Mrs. Turchaninova visited him there. In Okulovka the artist created pic­tures such as "Twilight. Moon" (Russian Museum), "Twilight. Stacks of Hay", "Sulky Day", "Summer Evening" (all at the Tretyakov Gallery) and numerous studies for his monumental piece "Lake". He spent the New Year holidays with Anton Chekhov in Yalta, where he sketched a piece "Twilight. Stacks of Hay", later embedded into a mantelpiece in the writer's study. The prevailing unusually warm weather inspired the artist to produce several pieces featuring views of an early spring in the Crimea. 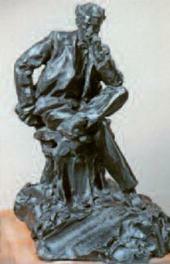 The sculptor Paolo Trubetskoi accom­plished a small bronze statue of Levitan, with an inscription "A bon ami Levitan. Moscou. 1899", gave it to him as a present. 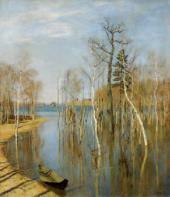 Worked at his painting "Lake" (Russian Museum). In February Levitan went to St. Petersburg to attend the opening of the 28th "Peredvizhniki" exhibition featuring, alongside his pieces, works of his students (Sapunov and Petrovichev) — the subjects of his heartfelt concern. Over the course of the year he participated in a Russian artists' show in Riga and in the Russian art section at the World Fair (Exposition Universelle) in Paris. In March he stayed at the artist Nikolai Meshcherin's estate at Dugino, Podolsky county near Moscow, where he made sketches, including the famous "Early in March" (private collection). 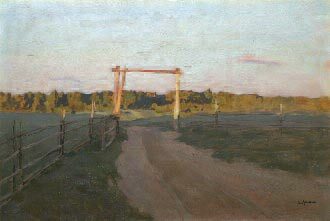 In May Levitan went to visit his students, who lived in a country lodge rented for them and painted in the open air in Khimki, a Moscow suburb. Catching a cold, Levitan returned to Moscow. Mrs. Turchaninova took care of the seriously ill artist. On July 22 (O.S. August 4) Levitan died. 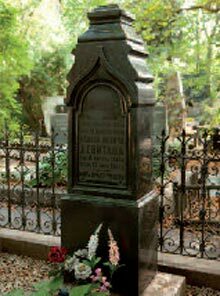 He was buried in the Jewish Dorogo-milovskoe cemetery. In 1941, his remains were carried over to the Novodevichy cemetery and re-interred near Anton Chekhov's grave. Levitan left after his death about 40 unfin­ished paintings and 300 sketches. 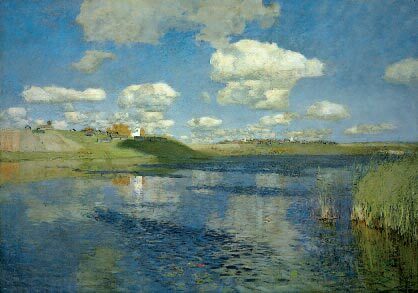 The monumental painting "Lake" (Russian Museum), on which Levitan worked in 1899-1900, remained unfinished. The artist's last piece was "Hay-making" (Tretyakov Gallery). After seeing the display, Alexander Benois described the emotions provoked by the picture: "It felt as if windows were unshuttered and flung wide open, and a stream of fresh, sweet-smelling air rushed into the stuffy exhibition room filled with a stench of too many sheepskins and oiled boots".Benois, Alexander. "History of Russian Painting in the 19th Century". Moscow, 1999. P. 345. Lidia Stakhievna Mizinova (Lika) (1870-1937) was a friend of the Chekhov family who held all through her life a deep, and not unrequited, affection for Anton Chekhov. A one-time actress of the Moscow Art Theatre, she married the theatre director Alexander Sanin and left Russia for good. 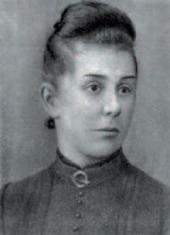 She kept exchanging letters with Isaac Levitan and Anton Chekhov for a long time. Tatiana Lvovna Shchepkin-Kupernik (1874-1952), a great-granddaughter of the Maly Theatre's celebrated actor Mikhail Shchepkin, was a novelist, playwright and translator; she wrote a memoir "Days Long Gone" describing the artistic circles of the late 1890s and the 1900s. Zakharenkova, L. "History of Solo Shows of Isaac Levitan and How the Tretyakov Gallery Prepared the Exhibition Commemorating the Artist's 150th Anniversary" // In: Tretyakov Conference. 2009: conference papers. Moscow, 2010. P. 219. Alexander Andreevich Karzinkin, Yelena Andreevna Karzinkina, brother and sister, were patrons of arts and artists' friends, and a fixture of the art scene of the late 1890s and the 1900s. Alexander Karzinkin was a financier, art philanthropist, member of the Tretyakov Gallery Board (1905-1912), and organized literary and artistic soirees. Yelena Karzinkina married writer Nikolai Teleshov, the organizer of a literary group "Sreda" (Wednesday). 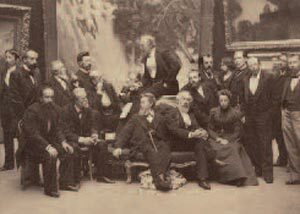 Isaac Levitan (standing second left) in a group of artists at MSAL.